The star-studded City Harvest Gala takes over Cipriani 42nd Street once again this year on April 30 with hosts Chrissy Teigen and Antoni Porowski. The 36th annual gala presents a theme of “Electric Rock,” featuring a performance by Emmy and Golden Globe winner Darren Criss. The formal evening includes dinner and both live and silent auctions. Honorees for the gala include Golden Globe Award-winning actor Richard Gere, Michelin-starred chef and owner of Altamarea Group Michael White and Marc and Kris Granetz. Additional guests include celebrity chefs Geoffrey Zakarian, Ted Allen, Dominique Ansel, Michael Anthony and Pat LaFrieda. City Harvest works year-round to donate and deliver unused food to those in need. More than 1.2 million New Yorkers struggle to eat regularly while 40 percent of food produced in the U.S. is discarded. City Harvest works to bridge those in need with those who can provide while limiting unnecessary waste. “I firmly believe that no food should be wasted while we have so many neighbors in need, and that’s what drives me and all of us at City Harvest to work hard to ensure that nutritious food gets into the hands of those who need it most,” City Harvest CEO Jilly Stephens says. This year, City Harvest is on track to rescue 61 million pounds of food and deliver it free of charge to hundreds of community food programs across the five boroughs. 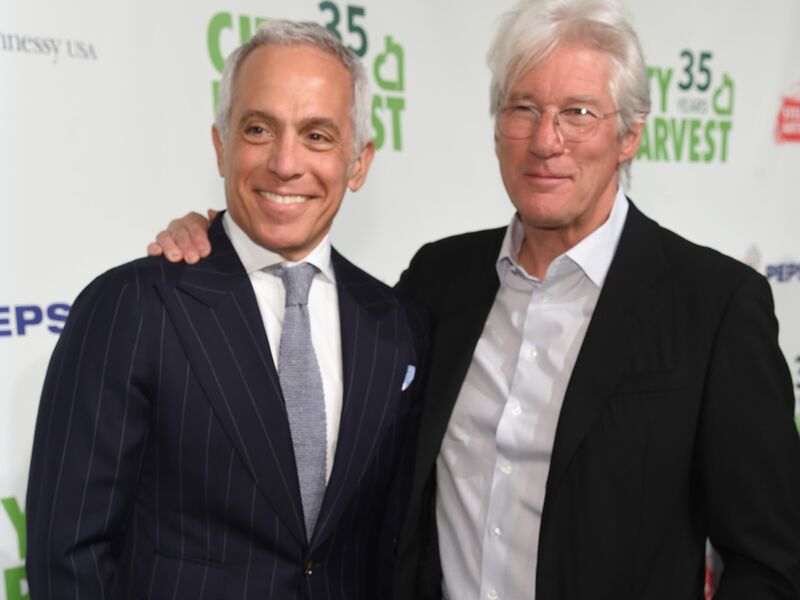 "City Harvest is a special organization that with only private dollars and donations feeds 1.2 million hungry New Yorkers healthy, nutritious and fresh food every year," says Zakarian. "I am grateful and honored to be able to lend my assistance."